We hope you all enjoyed the meet and had a safe journey home. Congratulations to all medal and Top Boy / Girl winners. Thank you to everyone for making it a great meet. UEA Norwich - Best Supported Club. For Results click here or use the links to the right. Please volunteer if you can, your help will be greatly appreciated and travel expenses paid, thank you. We ask all Clubs entering 10 or more swimmers to please provide 2 licensed officials for this meet. Unfortunately we have had to reject a small number of swims in order to stay within the time constraints allowed for Licensed meets. We apologise for the disappointment that this will cause to some swimmers. Please use the links below to view lists of accepted and rejected swimmers from your Club. 12th Dec - There have been some corrections so a new version of the Overall Accepted Entries pdf has been published (headed Version 2). There has been no change in the swims rejected. All swims previously accepted are still accepted - but competitor numbers may have changed. The competitor numbers issued on Heat Start Lists on the day of the event always take precedence. Rejected entries have been rejected because the meet has been over subscribed. These swims are therefore not accepted. NOTE - For 10 years and over swimmers, entry times MUST have been achieved at a licensed meet and therefore be from the National Ranking database. When using the SportSystems Entry Manager program you will therefore find the ability to manually edit times has been disabled. 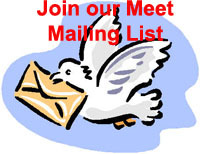 Please use the links below to enable you to view and print Meet entry information. Please remember the entry closing date is 22nd November 2013. If over subscribed, entries with the slowest times will be rejected, even if they meet the Qualifying Times. The entry information is protected from being changed but can be printed and freely distributed. Read the Electronic Entry Guidance Notes for details of the Entry program. These notes contain several links to useful video web casts (eg Quick Start web cast) and help information. Import the "Entry File Set" for this competition. The guidance notes and help will make these operations clear. Please volunteer if you can, your help will be greatly appreciated, thank you. Adobe Acrobat Reader to be able to open some files on this site. To download a free copy click on the logo.